Sprint will return to the Super Bowl this year with a 30-second spot from Droga5. The ad will run in the second quarter of the game and marks the brand’s fifth Super Bowl appearance to date. No other details on the creative or concept for the spot have been released yet. 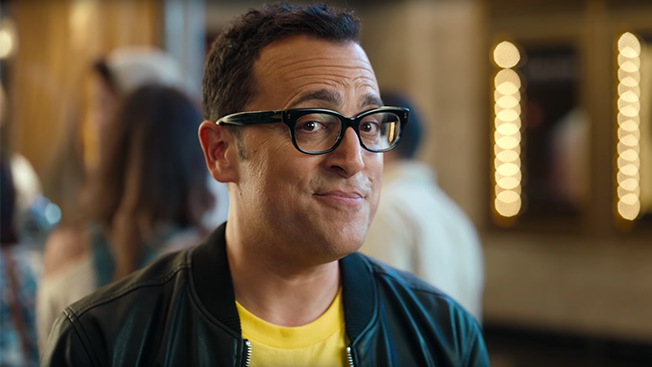 Some of the brand’s most recent ads have featured a familiar face in the world of cell phone ads, Paul Marcarelli. He’s also known as the longtime pitchman who spouted the now famous “Can you hear me now?” tagline for Verizon. At the time it was a major coup for Deutsch, who worked on the ads for Sprint before losing the account to Droga5 last November. Droga5 secured the account from Deutsch without pitching. “We felt that, as part of our transformation, it was the right time to bring new thinking and fresh ideas in the mix. Droga5 is the right agency at the right time for Sprint,” David Tovar, Sprint’s vp of corporate communications, told Adweek at the time. This Super Bowl spot will be Droga5’s first work for the brand so it’s unclear whether the cell phone spokesman will make an appearance in the ad. Sprint’s last Super Bowl ad ran in 2015, with a spot from Deutsch L.A. In the spot, Sprint issued a cheeky apology to Verizon and AT&T for cutting their clients’ bills in half. For more Super Bowl LI news, check out Adweek’s Super Bowl Ad Tracker, an up-to-date list of the brands running Super Bowl spots and the agencies involved in creating them.